This recycled art was in the first Recycled show in 2015 at Art and Antiques Studio Gallery in Melbourne, Florida. 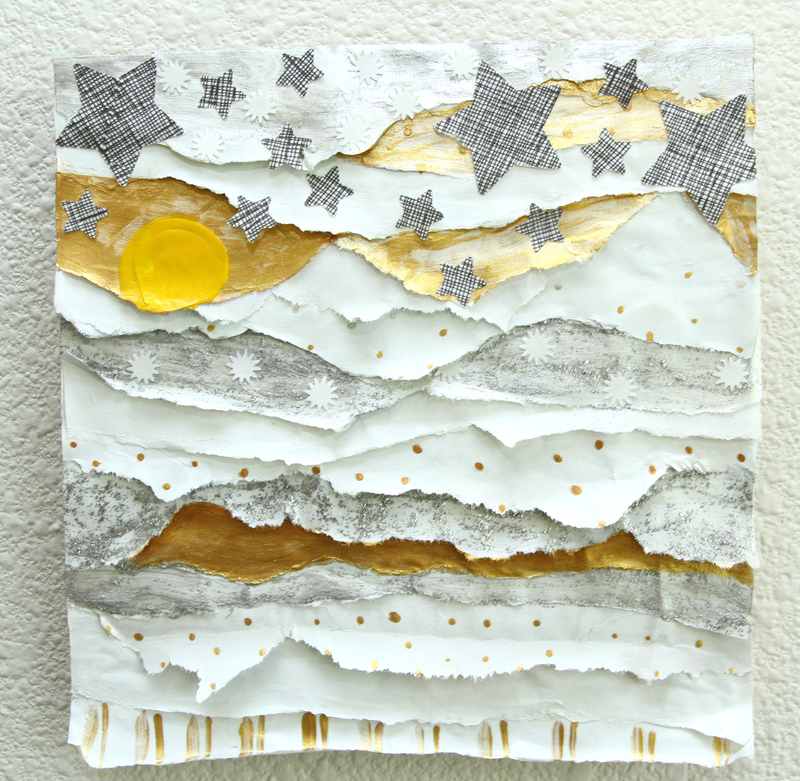 It is basically torn envelopes, a drop of dried yellow paint from my palette, punch stars from envelope liner and gold touches. It is mounted on a left over piece of cedar shake from a house. What fun!